Went 2 the Bridge: Do U.S. People Approve Of Torture Because Victims Are Non-White Or Non-Christian? Do U.S. People Approve Of Torture Because Victims Are Non-White Or Non-Christian? The most shocking and dispiriting news of 2014 was not the release of several hundred pages of executive summary of the Senate Intelligence Committee's investigation of CIA torture programs. It is indeed horrible but I already knew about most of it -- even if my senators wanted to pretend that they did not. I have read enough history of empires -- Elizabethan, Austro-Hungarian and Ottoman spring to mind -- to know that spying is seldom subject to meaningful oversight and is often used for personal gain or retribution. Humans are frail creatures, suspicious and jealous, and if they think their spouse is cheating on them or they feel wronged by someone at work, it doesn't surprise me that they might begin searching another person's personal communications or private data. Most people think ethics and laws are situational anyway. If a person is guilty of wrongdoing, that person has lost some of their rights. Right? Because if you're not doing anything wrong, why should you care that someone in the Pentagon -- or, more likely, working for a private contractor -- can read your emails or listen in on your phone calls. Right? This kind of thinking quickly crosses the line into the murky zone where the "wrong kind" of people have fewer rights than others. This brings me to the most alarming and discouraging news of 2014: that most people surveyed in the U.S. approve of torture. Ok, they have been subjected to hundreds of hours of propaganda selling them on the false notion that torture produces useful information. But the real bottom line is that they do not expect their child or other family member to be subjected to torture. Why this naïve expectation? Because most Americans are white, and most Americans are not Muslim. An illuminating documentary that examines how early and comprehensive is the campaign to demonize this Other that could be deserving of torture in the right circumstances is Reel Bad Arabs: How Hollywood Vilifies a People. Young people I watch this film with tend to be most horrified by the role of beloved Disney films in subtly creating racism. draw plenty of prejudice and hostile behavior. Most respondents to a poll on torture have their minds made up and are not open to being confused by facts. 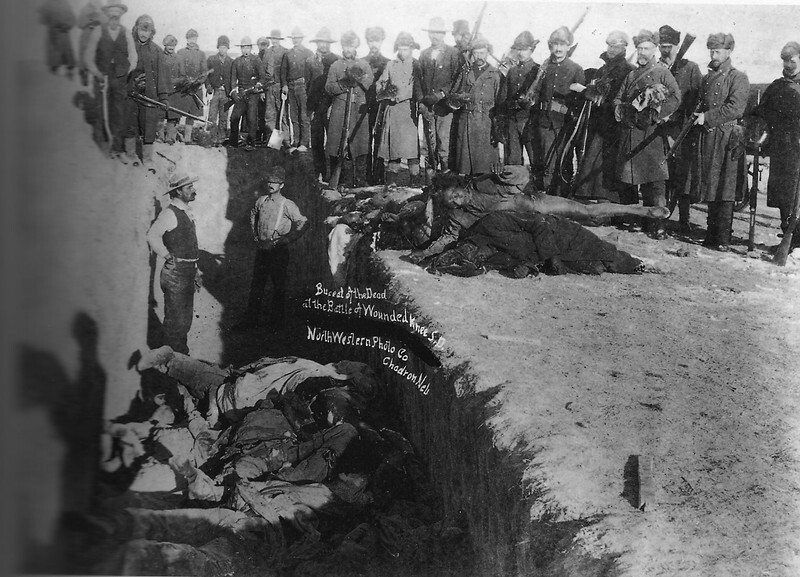 Perhaps the long tradition of violence against Native Americans lays the groundwork for approving of torture. Jamelle Bouie writing for Slate provided context in his post "Of course Americans are OK with torture. Look at how we treat our prisoners." People in the U.S. who aren't white are vastly more likely to be arrested, convicted, and sentenced to long prison terms that often include the casual use of torture methods like prolonged solitary confinement. So that's my most discouraging news of 2014. The most encouraging? The multiple, vigorous and unstoppable uprisings for racial justice all over this wounded nation. 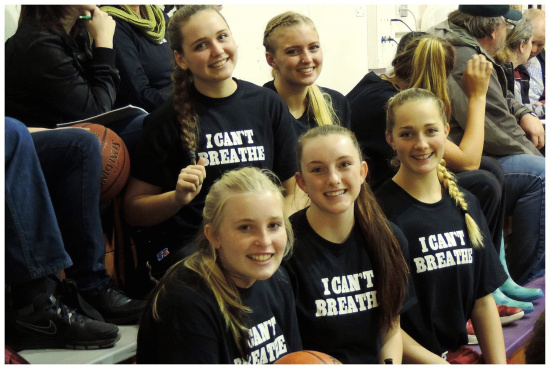 Leadership from quite young people, especially girls, and of people color and their allies -- many of them athletes -- has been amazing. I look forward to listening to them and working as an ally in 2015. Los Angeles activists shut down a freeway after the release of the autopsy report on yet another unarmed black man shot by police. 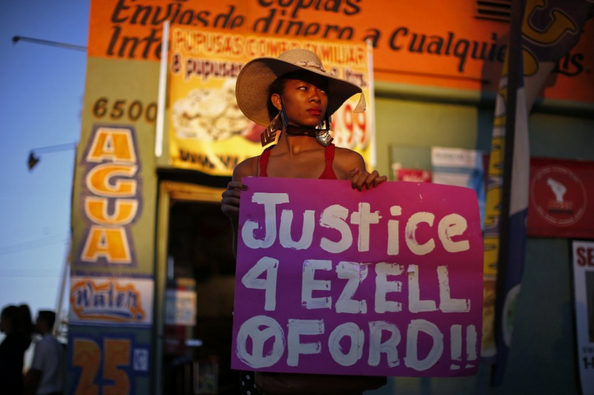 Victim Ezell Ford was known to suffer from mental illness.